Home / Thirsty News / A New Masskrug King is Crowned! 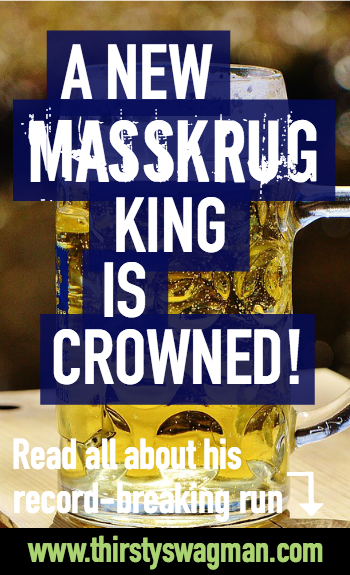 A New Masskrug King is Crowned! I’m talking about the thunder-stealing, 26-year-old Deggendorfer Matthias Volkl and his latest triumph at Munich’s Hofbrauhaus. You’ve probably seen his record-breaking masskrug run in your news feed—if not, you should really reconsider your news sources. Lemme break it down for you. He carried 27 full steins, weighing in at 137 pounds, for 131 feet with only two hands on two Popeye-shaped arms. 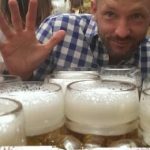 At 10:00 on the morning of September 12th, 2016, Volkl loaded up 29 brew-filled steins to race through the world famous beer hall in pursuit of the Guinness record. By the time he finished, two steins had spilled over but since the previous record was only 25, his finishing 27 steins still did the job. 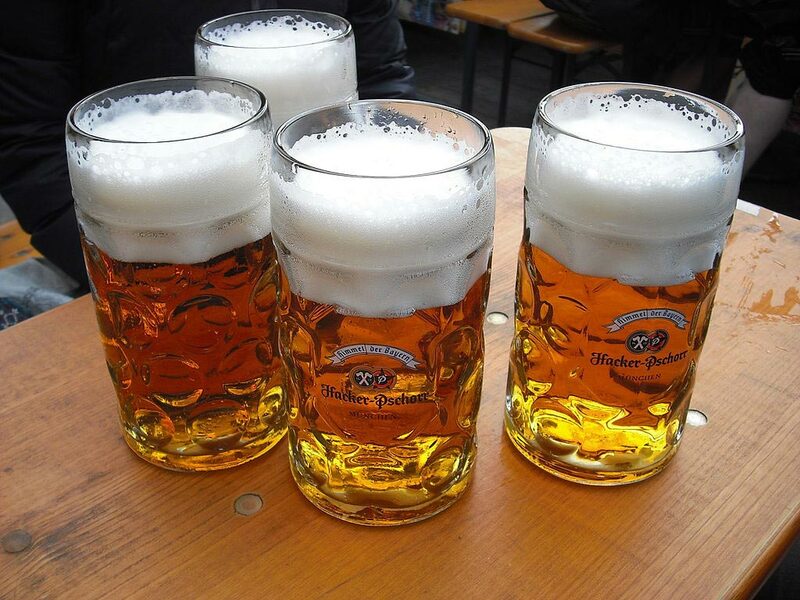 For the past eight years Volkl has served beer at festivals such as Gäubodenvolksfest in Straubing, Gillamoos in Abensburg, and of course Oktoberfest in Munich. Prior to last Monday’s feat, he trained hard for six months—practicing with litres of water (he’s not a millionaire, ok? ), an intense gym schedule, and carrying around his female colleagues. He currently holds the position of House Technician at Hofbrauhaus Munich but I think it’s safe to say he’s just been promoted to Bringing-Down-the-House Technician. He claims it’s all in how the mugs are put together and says he has his own way of assembling them. 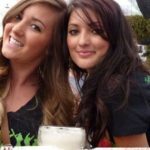 He holds only six steins in each hand and builds a house of beer on top. Which I will soon be moving into. What? I’m just trying to help with his training! 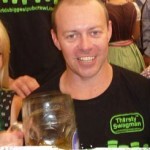 The previous world record was 25 steins held by 44-year-old Oliver Strümpfel. Strümpfel, who was on site for Volkl’s mass-kicking and broke the record himself back in 2014, believes Volkl’s accomplishment to be invalid and vows to break the record himself again in the future.